I'll be honest, I've never cooked with barley very much. But after making Hearty Beef and Barley Soup I wanted to try barley out in some other recipes. 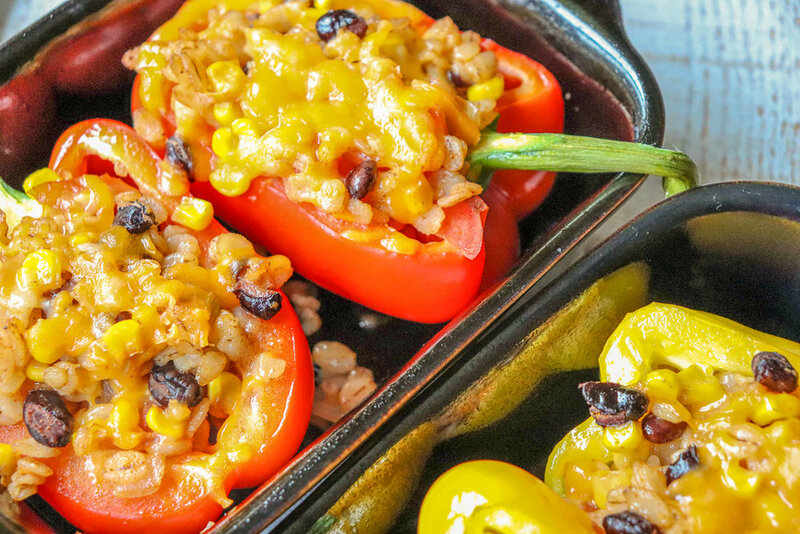 With a texture somewhat akin to rice, why not try it as a pilaf in stuffed peppers? 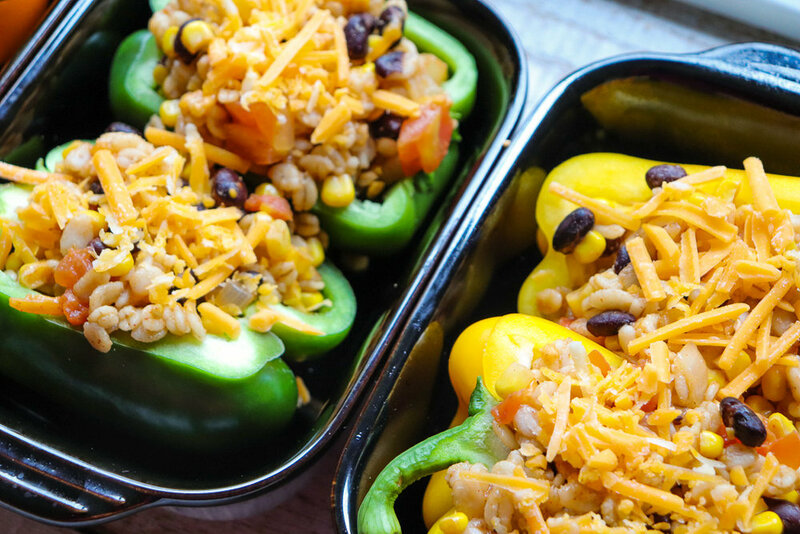 Throw in some black beans, corn, tomatoes and seasoning and you've got a complete meal or hearty side dish! The filling is good even on its own (even without the cheese on top!). I had a little filling left over that I took for lunch a few days later. 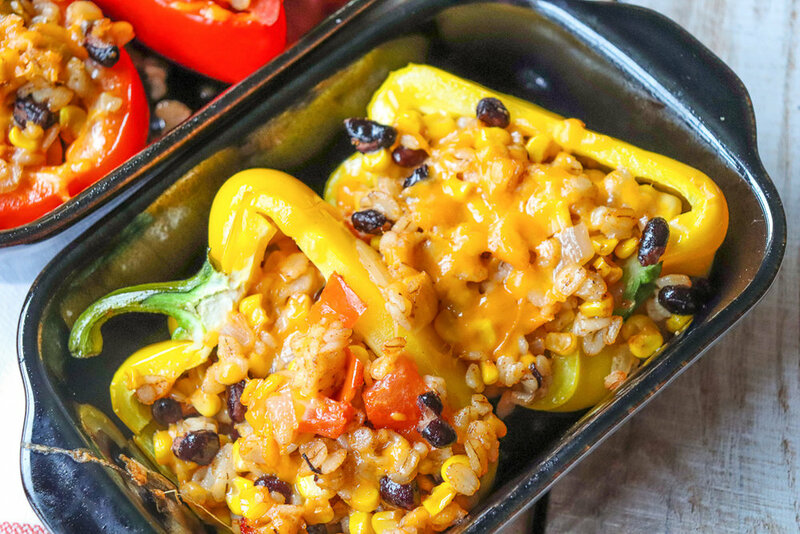 It reheated well and the fiber from the barley and beans kept me satisfied all afternoon - each stuffed pepper half has 10 grams of fiber! Did you know?? A bell pepper has more Vitamin C than an orange! Ranging from about 95 mg in a green bell pepper to over 300 mg in a yellow and red bell pepper, they all exceed the RDA (Recommended Dietary Allowances) for Vitamin C. (An orange contains about 70 mg Vitamin C). Adjust the seasonings to your preference. I used a "healthy" pinch of ground red pepper and it definitely had a kick! If you are searching for something to make with that box of barley in your pantry or experimenting with different whole grains, give this recipe a try! In a medium saucepan bring 2 cups water and dash of salt to a boil. Stir in barley, cover, reduce heat and simmer for 10 to 12 minutes or until tender. Remove from heat and let stand for 5 minutes. While barley is cooking, in a separate pan, heat olive oil and add chopped onion and garlic. Saute’, stirring occasionally for about 5 minutes or until softened. Add onion, garlic, black beans, corn, tomato and seasonings to cooked barley. Stir in ½ cup shredded cheddar cheese. 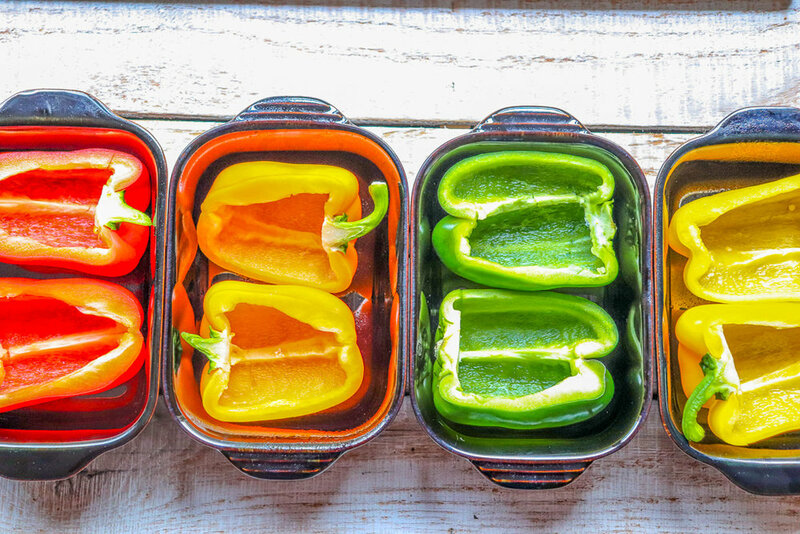 Place bell pepper halves in a casserole dish that has been sprayed with non-stick spray. Fill each half with barley mixture and sprinkle the remaining ¼ cup cheese over the top. Cover loosely with foil (be sure foil is not pressed against the cheese) and cook for 20 minutes. Remove the foil and bake 5 minutes more.